Driver? We don't need no stinkin' driver. 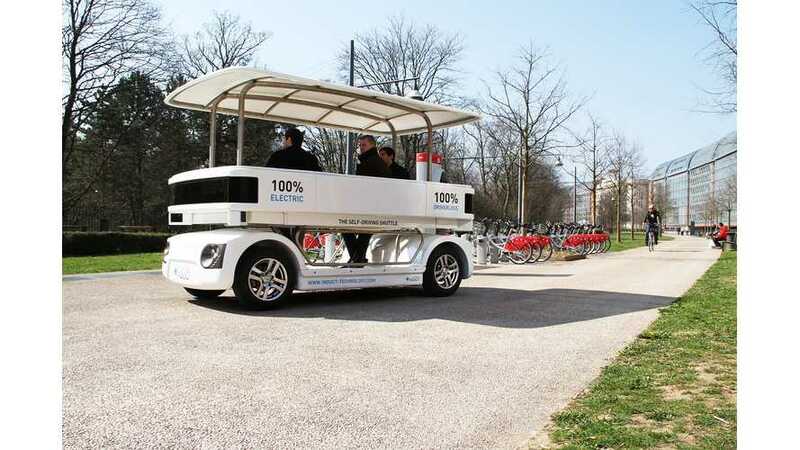 That's the idea behind NAVIA, an autonomous, low-speed, end-of-route form a electric transportation that's now officially in use in Singapore. NAVIA is the work of the Singapore Economic Development Board, Nanyang Technological University, Induct Technologies and JTC Corporation. Induct Technologies is the manufacturer of record, with each of the other listed organizations contributing something to the overall project. 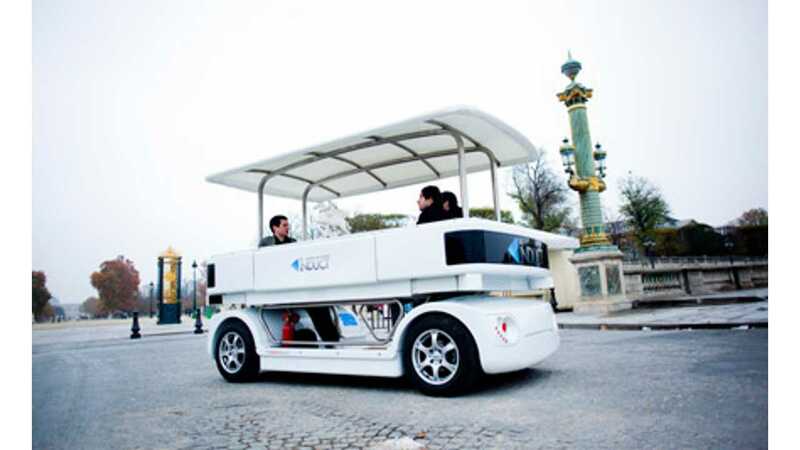 The goal with NAVIA is to show a new means of transporting up to 8 people over short distances. The average NAVIA route is only a few miles and its top speed is only 12.5 mph. NAVIA travels along a pre-determined, pre-programmed route, but has enough intelligence to avoid accidents. NAVIA is now out and about in Singapore where it'll spend the next two years in the trial stage. NAVIA is specifically engineered to address the "first mile" and "last mile" issues that even most subways systems fail to take care of. For more info on NAVIA, click here.